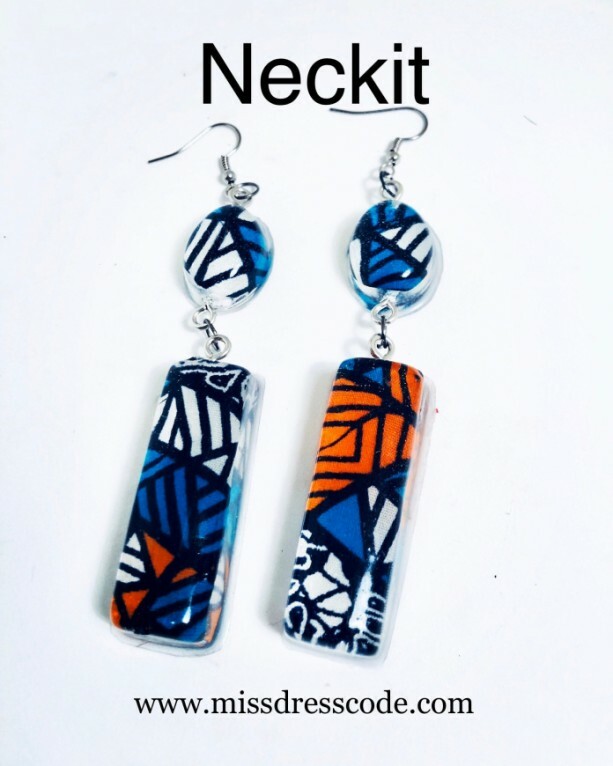 Beautiful resin earrings casted with African Print Fabric. Fun, vibrant, and unique. Measures 3” Nickel and lead free silver fishhook. Very lightweight . Turquoise and orange theme.